In America, inflation data and retail sales come in soft, which has investors thinking the Fed may slow the pace of rate hikes. A healthcare overhaul vote in Washington is delayed again. Senator John McCain is out sick, and Republicans will need every last vote to take down Obamacare. Brexit Secretary David Davis is in Brussels for new Brexit talks, as the clock ticks and the stakes get higher. Please note that Japanese markets are closed today. From our Beijing bureau, Sophia Yan says analyst expect 6.6 percent growth for 2017 which would represent the slowest pace of growth in around 25 years. Joining us from Hong Kong is Andrew Collier, Managing Director of Orient Capital Research who says China is not about to embark on any deleveraging path. New net loans were up to 1.54 trillion in June, above analyst expectations, and so it is not surprising that GDP figures are better than expected. Collier says there a is a lot of things China can hide this year but economic weakness may be more apparent in 2018. Xi Jinping is desperate to avoid "weakness in the system" and what he means by that is that he doesn't want anything blowing up in his face before the party conference in the fall. Collier says New York and London investors have been nervous about China for at least a year. Approval ratings for President Trump are at historic lows. A new Washington Post/ABC News poll has Trump at just 36 percent. 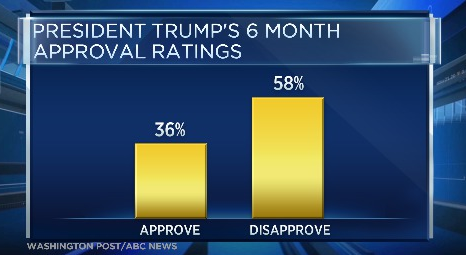 This is the lowest six-month approval rating of any president, in data going back 70 years. Meanwhile, a vote on the Republican replacement for Obamacare has been postponed, after a health emergency for a top senator. John McCain is recovering at home after surgery to remove a blood clot. With 2 Republican senators already saying they won't support the bill, the party needs to have everyone else healthy enough to show up for a vote. 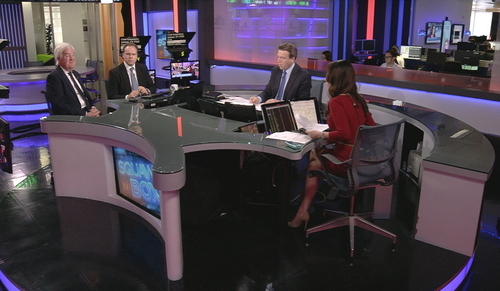 The guest host on Squawkbox Europe is Daniel Lacalle, chief economist at Tressis Gestion. He says the Fed's previous views on inflation were too optimistic and we will now see a more cautious from Yellen's team view on rate hikes. 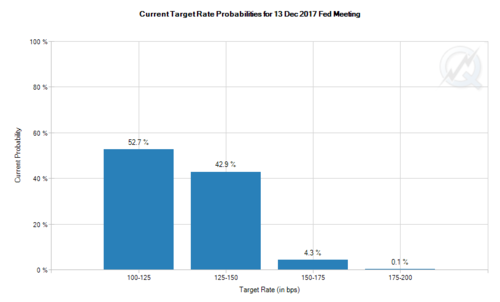 The market is currently offering a 43% possibility that the Fed will raise rates in December. Lacalle says that number fits in his line with his expectations. Chinese growth reports are better than expected. But American inflation and retail numbers come up short. From airplanes to airwaves. Dame Carolyn McCall will be CEO of broadcaster ITV, leaving EasyJet to find a new pilot. The UK's economic growth will continue to struggle this year as rising inflationary pressures and muted earnings growth weigh on consumer spending. That's according to a new report by EY's ITEM Club, which also says that while Britain's election result increased uncertainty, it has enhanced the prospect of a more business-friendly Brexit. Peter Spencer, Chief Economic Advisor at EY ITEM Club says there is massive uncertainty hanging around Brexit but the "Hard Brexit" that everyone was focused on before the election looks a lot less likely. Spencer says a "transition arrangement" looks to be the obvious next step which will buy the negotiating parties some time. On the future of Theresa May, Spencer says if she stepped down it could ease agreement with Europe in some key areas such as the role of the European Court of Justice. 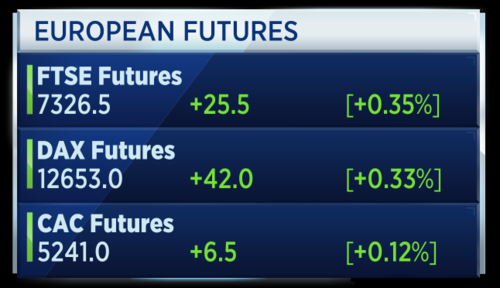 Meanwhile on the Futures indices European stocks look like they might open positive this morning. What the pound has lost is the shine it had because of the risk of the euro collapsing. That risk has gone. 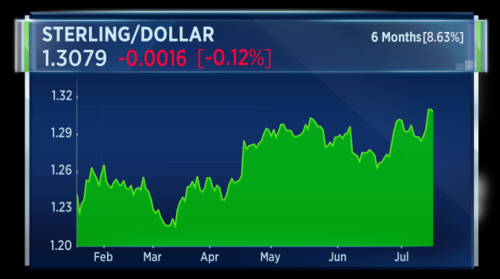 Against the dollar, sterling is back into the 1.30 handle although this is viewed largely as a dollar weakness story. 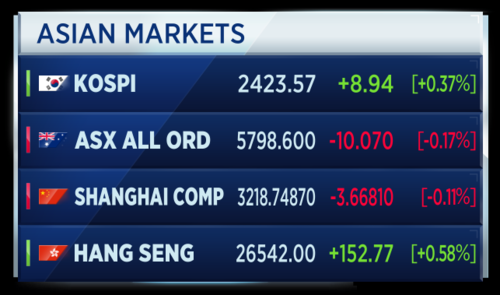 European markets are now open for trading. 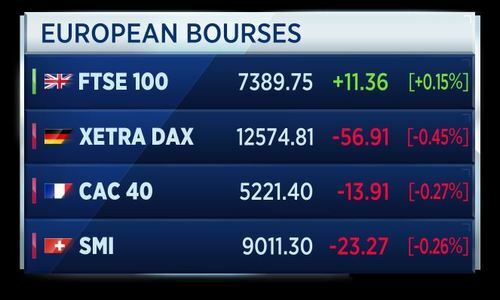 The pan-European Stoxx 600 has started the day on a slightly positive note, up 0.07 percent. 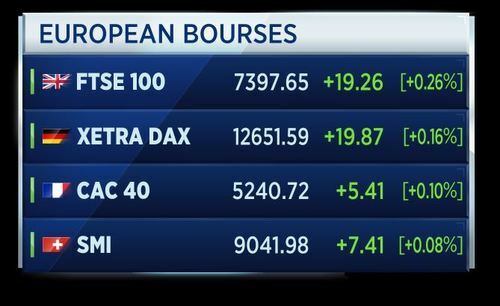 Major European indexes have also opened slightly higher this morning as investors react to robust economic growth data in China and await the second round of formal Brexit talks in Brussels. Dame Carolyn McCall, the outgoing CEO of EasyJet, has been named the new chief executive of ITV. Dame Carolyn has experience running a major media business, having previously led the Guardian Media Group. 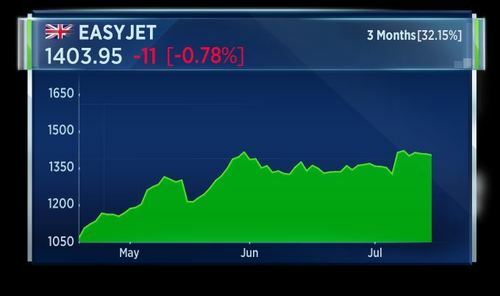 The reported change in leadership comes at a difficult time for EasyJet, which is in the midst of repositioning its business in the wake of the Brexit vote. 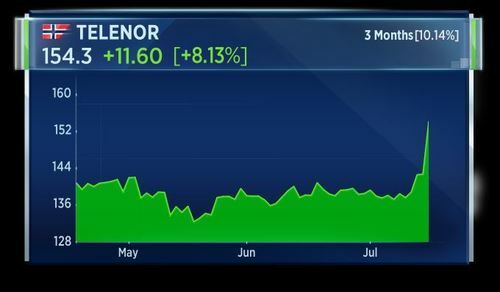 Telenor has reported a beat in second quarter earnings and raised its outlook for the full year. Total revenues increased by 2 percent while earnings hit an all time high. The Norwegian telecoms firm also announced a share buyback programme after receiving proceeds from recent divestment. 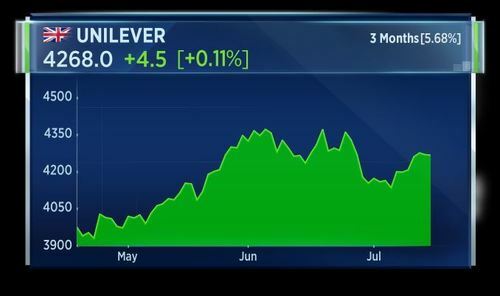 Consumer goods giant Unilever, and canned meat producer Hormel Foods are bidding for Reckitt Benckiser's food business.That's according to the Sunday Times, which predicts a host of other companies are likely to submit rival offers. Reckitt's food division is expected to sell for over 2.2 billion pounds. Surprise! Chinese growth reports are better than expected. But American inflation and retail numbers come up short. Now the real Brexit talks begin. Michel Barnier and David Davis meet in Brussels, promising to go beyond the pleasantries and get into the tough issues. 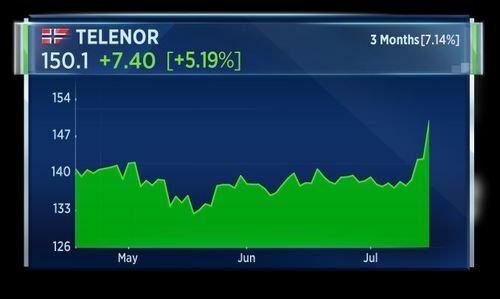 Telenor has reported a beat in second quarter earnings and raised its outlook for the full year. Total revenues at the Norwegian largely state owned firm increased by 2 percent while earnings hit an all time high. 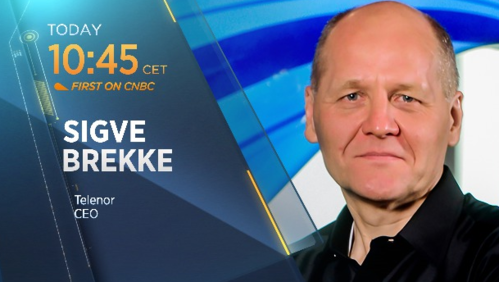 At 09:45 a.m. London time, the TV team will speak on air with Sigve Brekke, CEO of Telenor. The construction industry is really struggling at the moment. I think there are some structural changes that manifest themselves in this long string of poor profit warnings and financial results coming. There are some issues around capacity. House building has been on a high for the past 8-9 years but the issue is the actual capacity in construction sector and labour forces are in decline. The British and EU Brexit negotiators met on Monday, pledging to "get down to work" in a first full round of talks on Britain's divorce terms from the European Union. We made a good start last month but we are now getting into the substance of the matter, British Brexit Secretary David Davis told reporters as he was welcomed at the European Commission in Brussels by the EU negotiator Michel Barnier. For us, it's incredibly important we now make good progress," added Davis, who held a first day of talks a month ago to agree an agenda, a year after Britons vote to leave the EU. "Now it's time to get down to work and to make this a successful negotiation, he added. Barnier said: "We will now delve into the heart of the matter. We need to examine and compare our respective positions in order to make good progress." Both men declined further comment, with Barnier saying they would brief the media on Thursday after their teams have spent four days tackling a range of priority issues. 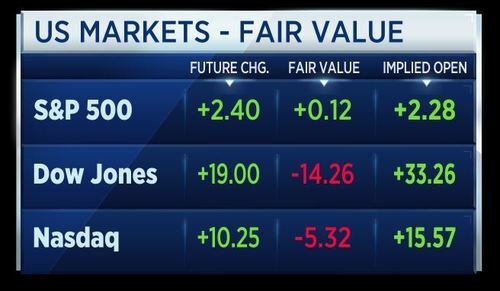 U.S. stock index futures point to a relatively flat open, as investors turned their attention to corporate earnings results, while keeping an ear out for any news out of Washington. 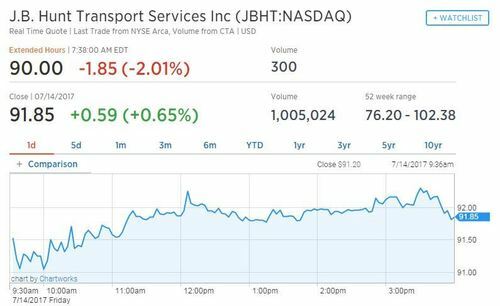 Netflix and BlackRock will be some of the major names kicking off earnings reports on Monday, with investors also looking for results out of JB Hunt Transportation, Brown & Brown and Equity LifeStyle Properties. Total revenues increased by 2 percent while earnings hit an all time high. The Norwegian telecoms firm also announced a share buyback programme after receiving proceeds from recent divestments. Very good quarter and our focus is now to continue that into the third and fourth quarter. We have an increasing dividend, growing on it year by year. We are a growth company and looking for opportunities for growth. 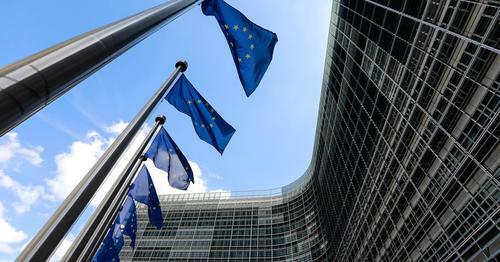 U.K. and European negotiators are holding their second round of talks Monday on how the country will leave the Union. The talks are taking place just a few days after the EU pressured the U.K. to outline its positions, particularly in key areas such as money owed to the EU and the Irish border. CNBC takes a look at where this historical negotiation stands as investors, political analysts and the general public try to keep a track of what's going on. 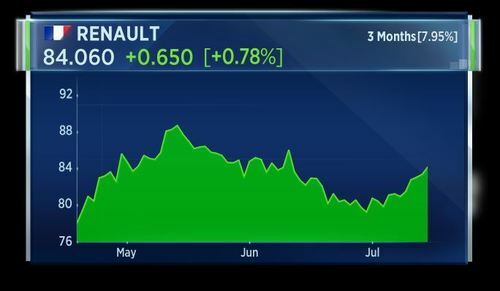 CNBCCNBC takes a look at where this historical negotiation stands as investors, political analysts and the general public try to keep a track of what's going on. The trial of Barclays and four former top executives charged with fraud over undisclosed payments to Qatari investors as part of a 12 billion pound ($15 billion) emergency fundraising during the 2008 financial crisis has been set for January 9 2019, a judge said on Monday. The bank, Varley and Jenkins also face one charge of unlawful financial assistance. That's according to Reuters. 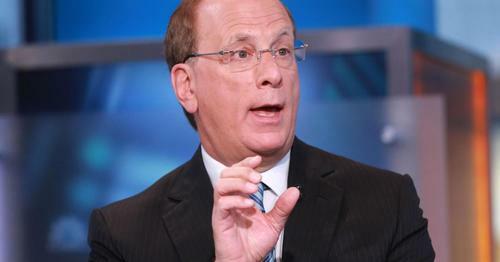 CNBCBlackRock, the largest asset manager in the world, is set to report second-quarter earnings on Monday. 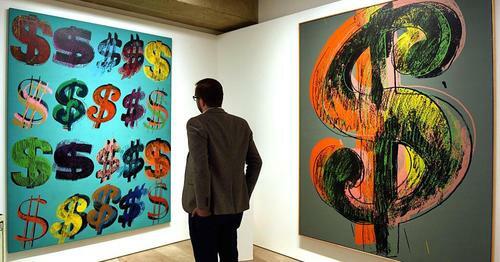 The dollar tumbled in recent days, but analysts weren't pointing to weaker-than-expected U.S. inflation data on Friday. Instead, they fingered a "Trump discount" as market-positive aspects of the administration's agenda appeared to be missing in action. Richard Clarida, global strategic adviser at Pimco, the bond giant with around $1.6 trillion under management, told CNBC that disappointment over the progress of President Donald Trump's agenda was looming over the market. 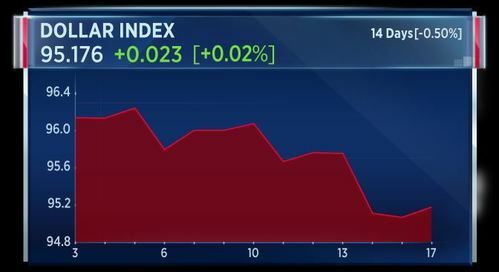 CNBCThe dollar has tumbled, but analysts weren’t pointing to weaker-than-expected U.S. inflation. Instead, they fingered a “Trump discount." 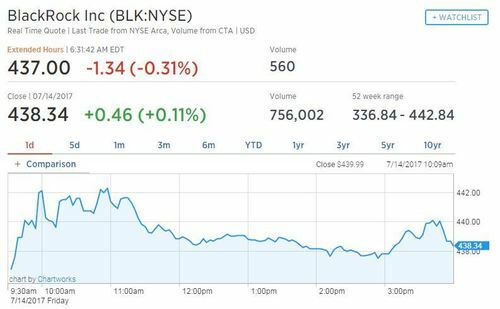 BlackRock shares have dipped a little in premarket trade following the release of its second quarter earnings. 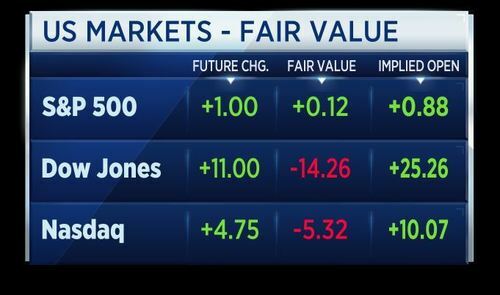 U.S. markets, meanwhile, are set for a higher open later today according to future values. Valeant Pharmaceuticals announces it is selling its Obagi Medical Products Business for $190 million in cash to Haitong International Zhonghua Finance Acquisition Fund. Valeant will use the proceeds to repay its loan debt. The company estimates that 2017 revenue and adjusted EBITDA of the Obagi business would of been around $85 million and $30 million respectively. 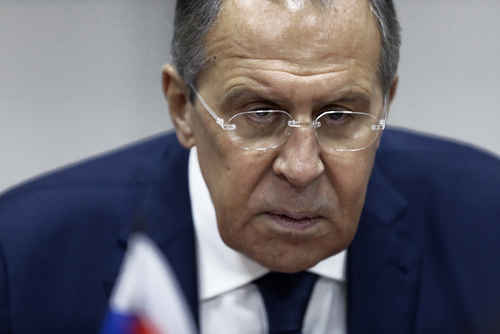 Russia's Sergey Lavrov says U.S. attempts to set preconditions for the return of Russian diplomatic property are "daylight robbery", according to Reuters citing Interfax. This is in relation to the seizure of two Russian diplomatic compounds in December 2016. Then-President Obama ordered the seizures as punishment for Russia'a alleged interference in the 2016 U.S. presidential election campaign. The minister for freign affairs says anti-Russian feeling in the U.S. means it is not certain that Russia and the U.S. can agree on global issues. Lavrov adds that Russia and the U.S. will ensure Israel's interests are taken into account when creating de-escalation zones in Syria. 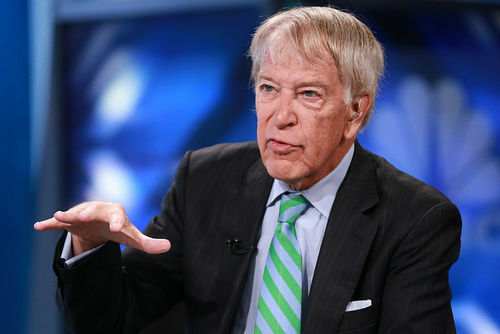 Roger Altman, Evercore executive chairman & founder, says Americans are angry because they are seeing wages and incomes lower than what their parents received. Wage gains aren't strong, he adds. The problem, he says, is the percentage of GDP going to capital rather than labor is at record highs. He says Americans are having a hard time making ends meet. He says there are good reasons to be concerned about the Fed's upcoming attempts to reduce the number of assets on its books. We've never seen an experiment like the one coming up this fall when the Fed begins reducing its balance sheet. Romania's Prime Minister Tudose says he is scrapping plans to introduce a tax on companies' turnover. 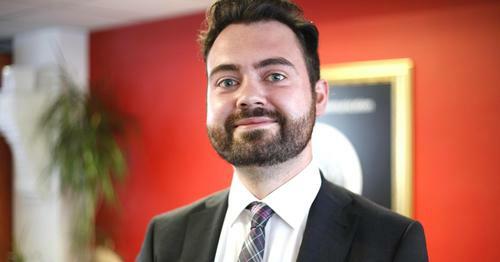 Mihai Tudose says the simulations are ongoing for a planned solidarity tax on individuals. He says he aims to stay under the 3 percent of GDP fiscal deficit goal by the end of 2017, according to Reuters. Turkey's CPI is seen at 9.49 percent by the end of the year, according to a survey by the country's central bank. A major, global cyber attack could trigger an average of $53 billion of economic losses, Lloyd's of London said in a report today. 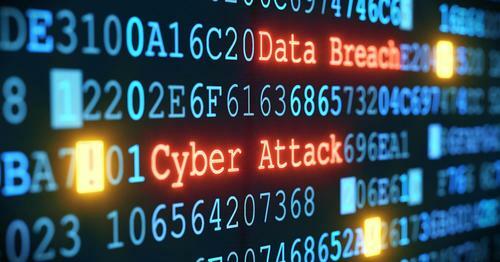 The report warned insurers are struggling to estimate their potential exposure to cyber-related losses due to a lack of historical data on which insurers can base assumptions. David Emm, principal security researcher at Kaspersky Lab, had this to say. These are big numbers, but they don’t mean much unless terms such as ‘serious cyber-attack’ are quantified. How can we assess the global cost of an attack? It could mean anything from a temporary interruption of service to the takeover of customer systems – with very different costs. It’s important for companies to conduct their own risk assessment and develop a strategy that’s designed to secure corporate systems and mitigate the risk of an attack on those systems. Shares in JB Hunt are down 2 percent in premarket trade after its Q2 results missed the I/B/E/S view. 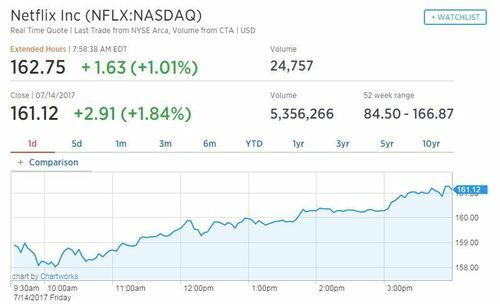 Netflix is set to report its latest earnings after the closing bell. The streaming company announced it topped 100 million users in its last earnings call and subscriber numbers are back in focus. The number to watch is 102 million - that's how many subscribers the company forecast last quarter. What CEO Reed Hastings forecasts about user additions over the rest of the year will also be closely watched, as the company comes up against more tough comparisons. In the meantime, shares are called 1 percent higher in premarket trade. Equity Bancshares announced it is expanding into Oklahoma and is merging with Eastman National Bank and Patriot Bank. The transaction is valued at $46.6 million. The bank expects the merger to be approximately 20 cents earning per share accretive in 2018 and 21 cents in 2019. Today is World Emoji Day! To celebrate, CNBC spoke to Keith Broni, the world's first emoji translator. Broni works with PR firms and marketing departments to help translate and interpret messages using emojis. 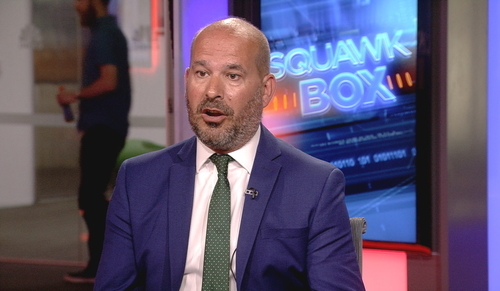 He tells CNBC about some of the common mistakes companies can make, and what they need to do to avoid embarrassing mistakes. Emojis may seem simple and fun but use them in an incorrect manner and it can be an embarrassment. Emoji Translator Keith Broni can help. The latest Empire State Manufacturing Survey from the Federal Reserve Bank of New York will be released shortly. The consensus forecast is for a reading for July of 15 points. Meanwhile, the dollar index is flat today. Over 14 days it is down half a percent. 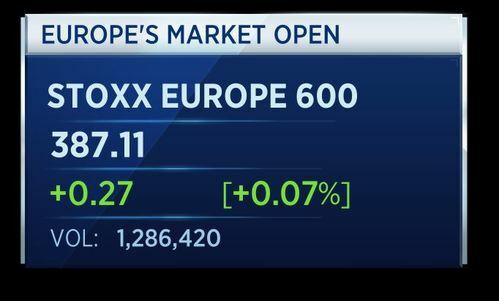 The European Stoxx 600 is fairly flat in today's session, up just 11 basis points. 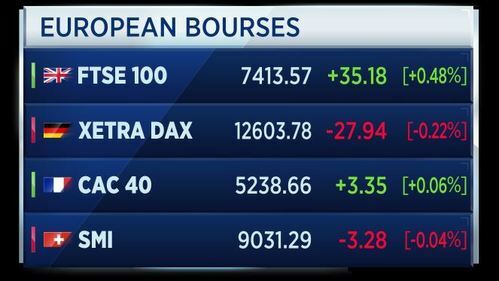 The individual European bourses are more mixed, with some recording strong gains and others posting declines. U.S. state debt levels fell 0.4 percent in 2016, after a decline of 1 percent in 2015, according to the S&P Global Ratings annual survey of state debt. The survey says overall debt ratios compared with economic metrics have improved. Restrained debt growth likely reflects overall state budget trends, according to the report. Some states, including Conneticut, Illinois and New Jersey, have debt service expenditures near or at high levels. 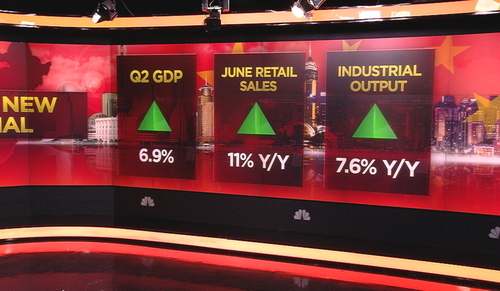 Here's CNBC's David Reid with the day's top headlines. The New York Fed's Empire State index slipped in July from two-year highs. The data showed current business conditions index decelerated to 9.8 points in July, down from 19.8 points in June and below consensus forecasts of 15. The six-month business conditions index dipped to +34.9 in July from +41.7 in June. The employment index dipped to +3.9 in July from 7.7 in June. The New Orders index dipped to +13.3 in July from +18.1 in June. Despite the slow-down, the index has been positive for six of the past seven months. Also, the prices paid index improved to +21.3 from +20.0 in June. Fedex has announced it is still evaluating the financial impact of the recent cyber attack, but says it is likely to be material. The company revealed it does not have cyber or other insurance in place that covers such an attack. Fedex reaffirmed its commitment to improve Fedex Express's operating income by $1.2 to $1.5 billion by full year 2020. On the topic of integrating TNT Express, Fedex says the process is expected to be completed by the end of 2020. TNT customers are still experiences widespread services and invoicing delays. Russia's industrial output for June increased by 3.5 percent year on year. This is slower than the 5.6 percent growth in May, but matched a Reuters poll forecast.